At the age of 25 I looked back on my relatively short life and felt fabulously fulfilled. After finding an incredible husband, graduating with a masters degree in my dream profession, obtaining a job in a devastating economy, building my dream house, giving birth to the most fabulous and beautiful child, I looked around at my blessed life and I had an overwhelming sense of gratitude and peace. After achieving every goal I had set early on in my life, I found myself being constantly drawn to the more “unachievable” goals that I had lingering in the back of my head. I had found great purpose in my life by setting goals and working relentlessly until I had achieved them, and my heart couldn’t stop searching for the next goal to attempt. A Private Practice. My mind continually wandered to this idea. However, I constantly shot it down with thoughts of inadequacy and reasons for why I could not accomplish it. I was too young… no one would take me seriously… I knew nothing about starting a business… I didn’t have the same level of experience as my older colleagues… etc. I believe the real reason I resisted starting a private practice initially was all due to fear. Fear of putting myself out there and being rejected. What if people didn’t like me? What if no-one felt that I was a good therapist? How could I take other people’s hard earned money knowing that I was not (and never would be) a perfect therapist? I was overwhelmingly plagued by the idea that if I started a private practice and it wasn’t successful, it would ultimately mean that I was unsuccessful as an individual. I was scared to “sell myself”. I was scared to build something entirely on my name — and my personality – and my character – and MYSELF. Referrals came. People were interested. It was exciting and exhilarating. As the months progressed, my remaining fears of being inadequate slowly began to fade. I realized that I did not have to “sell myself” as much as I thought I would need to. I realized that I did not need to be the “perfect” therapist. By the time most people contacted me they were very serious about helping their children and were already invested in the process. All I had to do was make sure that I was providing appropriate therapy that was planned out and effective. I get to work out of my home which has great advantages (such as throwing a load of laundry in the washer in-between clients, eating lunch at home, having all my therapy supplies and materials at my fingertips, getting some of my mortgage written off by conducting therapy in my home, etc.). When I finally committed to beginning my private practice I did so because I realized there were far too many advantages that outweighed the fears I had – and I had to face the risks and take the first leap of faith. My reasoning behind sharing my experience is simply for me to be to you all… what my husband was to me… a support system, a cheerleader, a confidant, a sounding board, and a friend. It was my dream and I did it. If it is your dream you can do it too!!! I am looking into starting my own private practice. Do you write goals for each of your private clients and give progress notes? What kind of documentation, etc. do you do? I do write annual goals for each of my clients and I record simple data from session to session (what we worked on and how accurate they were). It may seem like a lot of paperwork but compared to being a school district SLP (which I was previously) it is nothing. I am now able to focus on my clients and delivering effective therapy rather than writing reports, IEPS, etc for the majority of my time. I am so inspired by your story. I am having those same feelings that I am not experienced enough yet which has prevented me from really delving into the idea of private practice. After reading your story, that feeling is leaving out of my mind. I did have a question for you. How did you find the time to do everything that you needed to do to make this dream your reality? Did you continue to work full time or did you quit your job all together and focus on the business? My husband has a degree in business and we so very badly want to have a private practice of our very own incorporating what we both love. I don’t know if I should go part time or prn or what to help with getting this all started. Any advice would be helpful. Congratulations on all your success. I love to hear that your fear is fading. My husband also has a business degree and he was a huge inspiration and partner in getting the business started. I am glad that you have support in helping you figure out all of the details. I think that is the biggest help – just having someone to bounce ideas off of. 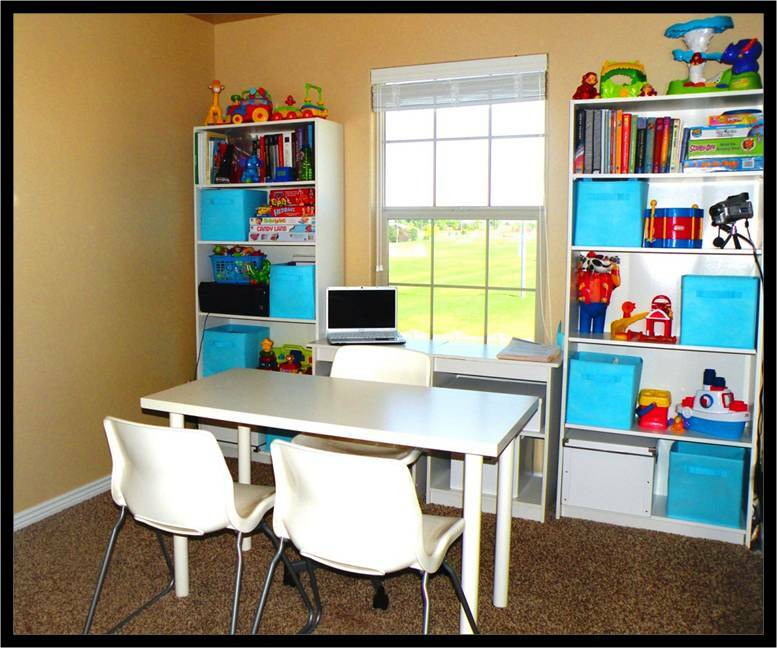 When I decided to start my own business I was still working full time as a school-based SLP. I started slowly and transitioned into my practice. I took clients as they came and only began by working with clients after school hours. This started in November/December 2010. By the beginning of the next school year (August 2011) I had added enough private clients that I transitioned to part time work at the school district (2 days/week). The next school year (August 2012) I initially turned down a contract at the school district – but they ended up talking me into staying on and working just one day a week. This year is the first official year that I am not going back to the school district at all. I still only work part time as a private therapist now, but I can tell you that I am making more in a month part time than I did at the school district full time. Amazing right!!! Not to mention all the other perks that come with owning my own business. So – good luck in your endeavors and let me know if I can answer any more questions you have. Do you take insurance or just cash? Thanks for the information. Do you by chance have an example of the business plan? I can’t access the one you suggested. Hmmm. Sorry I haven’t replied sooner. I haven’t been able to find another example. I will stay on the look out for the one I posted originally and will get back to you when I find it. Your article was so inspiring! Thank you for sharing this information. Here’s a link for a business plan, not sure if this is the same one you had but I found it on pinterest. This is a great help to me. I am trying to start a private practice after staying home with my 3 children for 9 years. I am in the marketing and waiting phase. I was wondering if you can answer a few questions for me….where do most of your clients get referred from? What age are most of your clients? (preschool, elementary) Are you a provider for any insurance companies or are you mainly just cash based? Great questions!!! I actually get my clients from a number of sources. Many of the local pediatricians know about my practice and refer to me often. I also have many local orthodontists and dentists that refer clients to me (I specialize in treating tongue thrust clients). I also receive clients from other speech therapists from the school district I previously worked for, as well as from the local early intervention agency. 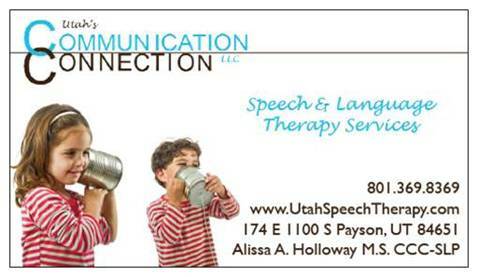 I get a lot of clients who hear about me from other clients (word of mouth is awesome), and those who just find my business website (www.utahspeechtherapy.com) online and contact me. I also promoted the practice in the parade in my city and handed out lots of coupons for assessments and treatment sessions. As far as the age of most of my clients the typical age ranges between 3-10 years old. Although I have treated many younger clients as well as clients well into adulthood (it just depends). But the majority are all preschool and elementary school aged kiddos. I do not bill any insurance companies for the services I provide. I am a completely private pay practice. However, many of my clients use a variety of means to pay for my services. Some clients are able to get some reimbursement from their insurance company, some use part of their flex spending accounts to pay, some get their services covered by therapy grants, and others just pay the cost themselves. It just depends on the client. I hope I answered all of your questions… but let me know if you have more, I would be happy to help. For those clients who get some reimbursement from the insurance…Do you typically need a doctor’s referral? I haven’t had to have that yet. In fact – some of my clients came for a whole year and then found out their insurance would reimburse them for all of the therapy. I just had to submit receipts for everything they had paid me previously. But it just depends on the specific insurance company. I just always instruct my clients to speak to their own insurance company and see if there is anything they would cover – and if so – what they would need from me in order to reimburse the family. I hope that makes sense. How do you do therapy in your home with a little one? Do you use daycare? Also, what are your hours/days? I am trying to figure out how to make the transition that you have and I am coming up short with ideas for childcare for a toddler. I actually send both of my boys to my mom’s house (and pay her for babysitting). I set specific hours that I work (I see client’s back-to-back for set chunks of time) in which I send my boys to my mom’s house. However, I do all of my paperwork, planning, and billing during different times when I have my boys (usually during their naps or preschool). So technically I still work and have to send my kiddos away for times while I work – but I get to be home with them much more than I did before. I hope that helps. Hi…very inspired to read your story. I have questions about the billing procedures and providing receipts to your clients. I have been approached by few people for private speech therapy and they already checked with their insurance company that they will not be reimbursed. So they are planning to pay out of pocket. They asked me if I would be able to provide a receipt for their payment. Do you have any templates for the receipts that you give to your clients?Also, if you have any blank templates of your reports/progress updates, etc, that would be very appreciated as well.Thanks! I know a friend that is using the free invoice program on http://www.waveapps.com. I am just now starting my own practice, and it is very small at this time. Do you carry malpractice insurance? It feels like a significant expense at the moment. I am not working with feeding patients. The PT’s in my area do carry it. Some OT’s do. Small-time SLP’s, like me, seem to not. What are your thoughts? I actually don’t have malpractice insurance. I have considered getting multiple times but just haven’t gone through the process of actually obtaining it. It is probably a good thing to have though! Thank you so much for sharing your experiences. I am also considering starting my own private practice out of my home and it definitely helps to hear some success stories. Right now I’m wondering what to do about qualifying children for services. Do you initially evaluate your clients using a standardized test or provide any standardized testing of any kind? Or do you use your own informal methods to determine whether a child should receive therapy? I always use a standardized test combined with informal assessment measures (whenever possible). However, I don’t always follow a super strict measure for how I qualify kids. I perform the test, score it, review the results with the parent, explain how delayed the child is (if delayed at all). Then the parent and I discuss together each of our concerns, thoughts, etc. and whether or not we feel we should go forward with therapy. I don’t just follow one cut off score (like usually happens in the school district). I use my clinical judgement of how much the child could benefit from the services or not. And then make an informed (and ethically appropriate) recommendation. I would love to hear more about how you marketed to pediatricians. Did you call on them at their office? Would you be willing to share any of your letters that you sent out? Thanks so much for sharing all that you have!!! I just started out by talking to my own children’s pediatrician at a well check appointment. From there I just sent out a letter explaining my practice to a bunch of offices in my area and included business cards with each letter I sent. Loved your story! Now, I have a question. Do you deal with insurance or have clients pay out of pockets? If you are dealing with insurance, how complicating is it? I only accept private pay clients. Thanks for sharing your story. I am in the contemplation phase of starting my own private practice with an emphasis on language and literacy. I’m currently working in a school district full time and have been there for 15 years so am at the top of the school district pay scale. My kids are in college so I can’t take a pay cut. I’m hoping to supplement my income and then eventually move into the private practice full time. My dream is to be in charge of my schedule and spend more of my time planning and executing treatment rather than writing IEP’s and attending meetings. Do you do any speaking as part of your practice? Do you have any other sources of income related to the private practice? I have done a few trainings – but nothing I got compensation for. I am in the process of building 2 apps – not necessarily for the income – but just so I can have the specific materials I like to work with. I also sell some of my materials on “teachers pay teachers”. I only do private therapy part time as we rely mainly on my husbands income to support our family. Hope that info helps. Thank you so much for sharing your story and so much helpful information! I’m creating an S-Corp right now and am deciding between simply incorporating my name, versus creating a name for the company. Do you have any advice in that matter? Thank you in advance! Hmmm. I don’t know that it really matters. I say just go with your gut. wow, thanks for sharing! I am 27 and just had a baby also, and quit my full-time job at an acute-care position in a large hospital. I would love to do something like this, but unfortunately, cannot work out of our small home. If you don’t mind me asking, how much do you typically charge for evals and treatment sessions? I am more adults-based, but would love to do some aphasia/cognitive therapy on the side and am just now considering private practice. I charge $35 per half an hour. I charge the same rate for evalutions and therapy. Hi Alissa! My name is Kayla Rivoli and I’m a current freshman at Temple University. I am an aspiring speech pathologist; my dream is to work with kids and eventually open my own private practice like you have! Reading your story really inspired me and I’m determined to do well in school and learn as much as possible. I have a long way to go until I graduate, so I was wondering if you had any advice for me as an SLP student? I’m already worried about getting into grad school and I love hearing from those who have already gone through it! Get a great externship. I had some great examples and inspiring people that taught me so much. Also – when I was in grad school I made sure to request the type of clients I wanted to work with so I could gear my experience around what I like to do. I’m so thankful I found your post! I’ve spent a lot of time applying for and trying to figure out insurance reimbursement for private services but ideally I just want private pay clients. It’s great to know this is possible. What is your advice for determining costs for your services? Also, what standardized tests do you recommend to begin a comprehensive practice? I contacted many private therapists/clinics around my area and gathered all of their pricing information. Then I set my costs accordingly. I would recommend purchasing the Arizona artic test and the CELF to get started. he reason I recommend these tests is because they are standardized for a greater age range – so you can use them with a greater range of clients. Thank you for responding, your info is very helpful and much appreciated!! I have a few more questions…..Did you create your own evaluation/documentation forms? Are these something you might share or give advice on how to structure them? I am so happy I found this post!! I felt like I was reading my own thoughts. I have bought a domain name and have slowly begun to build a website, but like you said I am still unknown, and my website is still under construction. I live in a 1-bedroom apartment in Queens, so it would be tough to start off with therapy in my home! I want to thank you in advance for any response/advice. Also, your kid is adorable!! I haven’t offered any incentive program. But it seems like a great idea. I did hand out TONS of free evaluation coupons at our city’s parade and have received a lot of referrals from that. How much do you charge per session and for evaluations? I charge $35 per half an hour session and $60 per hour session. I bill assessments based on the time it takes me to complete them @ $35 per half an hour. Since you are providing therapy in your home, and not billing insurance, do you need a doctors order? 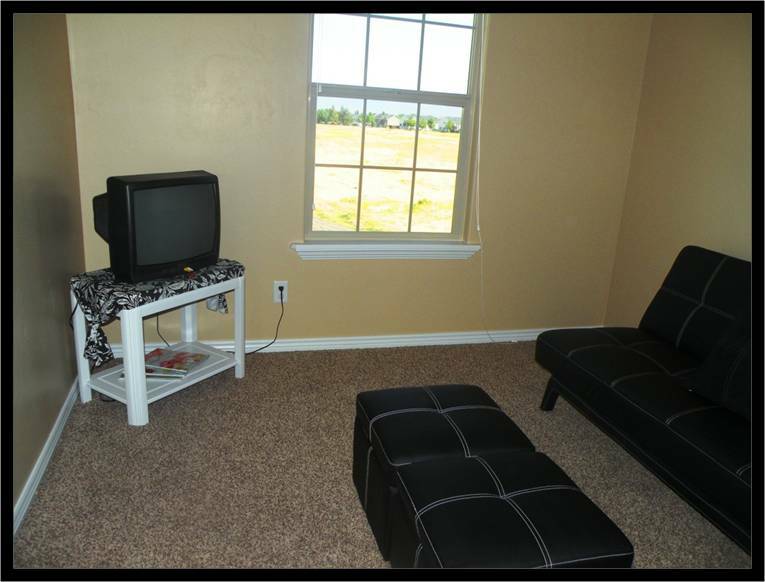 I am wanting to see patients in their home even though I have a home office I could treat them in. I am a provider for medicaid as well as blue cross blue shield but bcbs doesn’t reimburse in the home of the patient or therapist. I just was wondering if you get a doctors order, and what your thoughts are on billing insurance vs private pay? Do you have a hard time staying busy due to not billing insurance, or do you think there are enough people out there that would be willing to pay out of pocket? I have never “needed” a doctor’s note – because I do not bill insurance. For me – private pay works the best because I only work part time – and my schedule is constantly filled. If I wanted to go full time I am sure I would begin looking into billing insurance a lot more. But for now – private pay works great for me and my needs. What language evaluation(s) did you purchase at start-up? I purchased the Arizona articultion profiency exam and the PLS. I would also recommend the CELF to start out with because it is standardized for a greater age range and can be used for more clients. But it really depends on what you want to work with. Hi there. I have been following your blog and so much appreciate all of the information you have posted. It is so helpful. Thank you! I am in the process of opening my practice as well. I am a sole-proprietor and will be taking Medicaid and bcbs insurance. Can you recommend what standardized tests to start off with please? And are there any requirements for reports or documents to provide? Or just what the parents would like? Do clients need a referral from the outside? I just provide the reports and documentation that I feel are ethically necessary. Evalution results, goals, progress updates, etc. I also obtain a case history to begin with and review all of the companies policies at the first session. Clients don’t need a specific referral – I take all different kinds of clients and referrals. I have enjoyed reading the thread and like everyone here, I am considering the private clinician route. 1. Do you obtain a physician’s order for any patients? 2. Do you have any malpractice insurance? 3. How many hours a week do you now work on average and how many clients do you provide services to? 4 . Do you follow a child’s current IEP goals if they are also receiving therapy at school? 5. Do you ever attend a client’s IEP? 6. Did you obtain a paid email account for your business instead of a “free” google, yahoo, Hotmail account? I’m wondering about how to obtain a domain etc. Thanks in advance for your reply. I’m looking forward to hearing back from you. 2. No. But it would probably be a good idea!!! 3. I work about 15 hours a week. I have approximately 20 clients or more at any given time. I set my schedule and once it fills up I start a waiting list. That way – once I release someone – I can automatically fill that space right back up and have my income remain consistent. 4. I always obtain a copy of the current IEP goals and use them when considering my own goals – but I do not always work directly off the IEP goals. I used to work for the district here – and so I know most of the therapists that work for the district. I try my best to stay in contact with them if we are treating a child at the same time. And try to make sure our therapy is working together well. 5. I haven’t actually obtained an IEP – but I would be happy to if I were invited. However, I have consulted with other therapists about a child’s IEP many many times (as I discussed before). 6. I have an e-mail that comes from my website domain name. 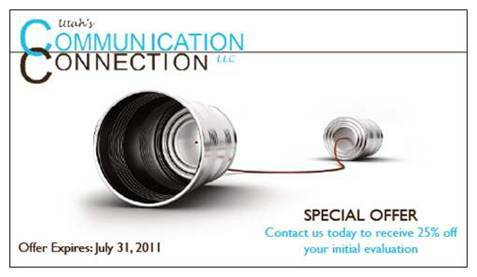 It is alissa@utahscommunicationconnection.com. Thanks again for all of the great info and inspiring story. I am getting more encouraged and motivated by reading your story and seeing that my long time thoughts of owning my own practice could be doable. 1. Regarding tongue thrust therapy, are you certified? I was considering taking a course but haven’t made the time because I have NO background in this area. Although I have basic understanding of the purpose. If you took a course, which one did you attend or would you recommend? 2. I am also considering other workshops of course for our ASHA requirements. Have you ever taken PROMPT, PECS, BECKMAN ORAL MOTOR, DIR/FLOORTIME? These are some that I am considering this year? 3. How do you handle “no shows” or excessive cancelations? I have worked outpatient hospital for several years at various times in my career and this can be an issue, leaving big blanks in your yx day. Do you apply a fee? Is your.policy in writing or do you just verbally review it with clients? 4. Late arrivals….do you see them the full original session time, if you don’t have anyone scheduled after the late client? I probably would, if I could as long as it wasn’t a chronic late arrival issue. What forms of payment do you accept? Also, do you use any type of billing or medical record keeping software? I accept cash, check, and credit card (using the “square” app on my phone or iPad). And I just figure out all my own billing using excel. Just curious, do you bill them at the end of each session? I typically bill at the end of the month for an entire month at a time. Some of my clients want to pay each session at a time, and I allow them to do that as well. I LOVED reading your blog. I was wondering what your schedule looks like. 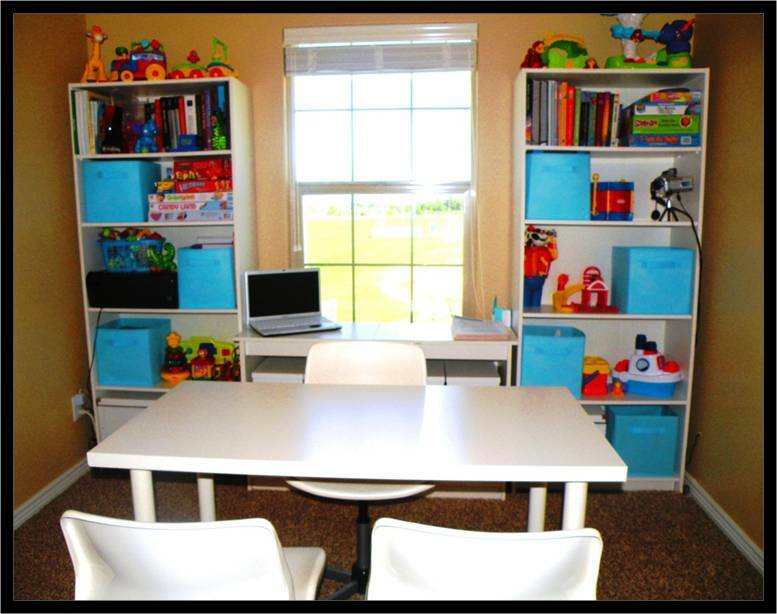 Do you find yourself working in the evenings because children are at school during the day? Do you give therapy on the weekends? I was just going to ask this question. I was considering saying I can see clients on tues., wed., Thursday, only because that’s when we’d have child care during the day. This was such a great read. I have started to see a few clients on the side but would love to grow my business as you have. You are such an inspiration! Like everyone else, I have a few questions for you. – I know you had said you do not have malpractice insurance, but do you have anything protecting you legally? I saw you do have a business license and such so does that in itself protect you and your family incase you did by chance run into trouble? Did you see a Lawyer or anything as you started to plan forms and contracts? – What kind of paperwork do you have your clients complete upon starting sessions if they qualify for services? How to you keep patient records, paper-based or electronically? Great site.. Great work! Do you mind sharing the letter you sent out to the pediatricians, early intervention, etc. Thanks! Wow, what an informative blog! I have been considering starting a home clinic as of late. I am currently pregnant and am dreading having to send my baby to a sitter ( husband will be full time dental student). It is so uplifting to hear you went for your dream and now it is a successful reality. My husband is a business major so he is very supportive of this possibility. Making the decision is just so nerve- wracking! I am currently working at a peds clinic parttime to gain more experience with the younger aged crowd ( I am full time at a high school and SRP at a hospital). One question I have for you is: how long did it take you to acquire your initial clients? Thank you for all of your helpful information. This is a wonderful resource. What information did you include in your letter to pediatricians when you were starting out? What about if your family wants to take a vacation? thank you so much for taking the time to empower so many of us.. 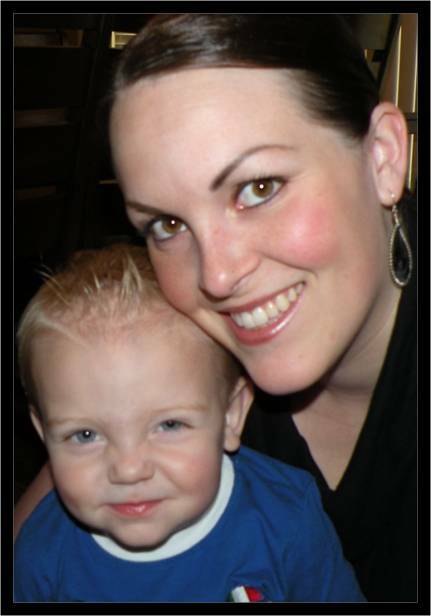 I have 20 years of experience as an SLP and mom of children with special needs. My 23 year old son who has Asperger’s has co-founded an advocacy business called Asperger Experts..yet, I STILL doubt my abilities. What I HAVE come to know is that I recognize when an employment situation does not benefit my life. And, life is entire too short. So, I am going to put an appropriate amount of thought and planning and move forward. Again, peace and gratitude to you! Thank you so much for all of your insight! I appreciate you sharing. I am putting together an informational sheet to handout with business cards. Could you please share if you did this as well? If so, what did you include? Thank you!! An information sheet is a great idea. Good Luck! This was a FANTASTIC read. Thank you so much for sharing. I am actually 25 right now and every area of my life is falling into place, but I too am feeling unsatisfied. I love working with my students, but the extra demands by the school districts (which seem to keep increasing) take the joy out of what I’m doing. I just want to give therapy and stop doing paperwork! I am a speech therapist in the UK and contemplating setting up my own practice. I have 2 years post grad experience ( although I have 20 + years experience in working life), I was a mature student. I am in a similar position to you when you set up your practice. I am confident in my ability, but just scared of taking the plunge. How much experience did you have before you set up? I worked all during graduate school under a letter of authorization from the state of Utah. So if you count those 2 years as experience – I only had about 4 years experience before I took the plunge. Good luck! I am an audiologist/dispenser and considering adding a speech path. to my private audiology practice- I’d like to specialize in adults. Do u think that there is as much of a need, as with kids? Btw I started my practice after a terrible divorce (he moved across the country) and three very young children under foot. BEST thing ever!!! Good for you!!! There is definitely a need for therapy with adults. I tend to work more with children – but I do have a few adults on my caseload. I am not as specialized with adults – and I don’t really seek them out – so that is probably the reason I only have a few. But if you were to specialize – I think you would be able to find clients. Your story is very inspiring! I am considering opening my own and am just getting started. Do you attend professional development trainings and pay out of pocket or do you fulfill them online? Also, are the taxes on your business outrageous? Thank you! I usually attend my local annual speech conference (USHA) and pay out of pocket (~200-300 hundred dollars). But sometimes I take classes online. It just depends on the year. My taxes are actually MUCH better than I anticipated they would be when I began my business. I have actually ended up paying very little in taxes every year. This is due to all of the business deductions and write offs I accumulate by running the business out of my home. I have my own accountant that I meet with at the end of the year and go over all my possible deductions and write offs when submitting my taxes. I end up keeping most of the income I earned throughout the year and some years have not had to pay any taxes at all. Thank you so much for sharing your experience as I, too, am embarking on a new adventure of my own business. I am having the most difficulty in figuring out how much I am going to charge for evaluations, therapy sessions, etc. Could you please share a little bit about how you figured out “customary charges” for your clients. It would be appreciated. I contacted a few other therapists around my area and asked how much they charged and how many years they have been treating clients. I then lined up my experience with theirs and figured out an appropriate fee for my area. I called around to about 7 different private therapists in my state and asked them all how much they charge and their level of experience. Then I just figured out how I fit into the numbers I obtained and went from there. I am also looking to open my own EI speech practice. What is the best way to learn INS and the billing of vouchers with the state? I actually only take private pay clients and do not deal with insurance at all. Sorry – but I don’t have much information to help you with this question. So sorry. I only take private pay clients so I cannot help with any billing questions at this time. Good luck. Thank you for your post. I felt like someone else had taken all my thoughts and fears and put them on paper, except with a success story behind it all. Thanks for the inspiration. My question is in terms of eval reports…how long are yours? Is there a particular template that you use? And when do you discharge clients? Based on progress on goals or do you re-eval them to see if there is still a need? The one thing that’s hindering me from starting my own practice is insurance billing…it seems like a big, ugly, convoluted monster. However,, after our son is born, I’m thinking of going private, and if we can do private pay, that would be so convenient. Just not sure if anyone would want to pay $100-150/hr out of pocket… that seems to be the going rate in California. I only offer a simple 1 page eval summary report for no extra charge than the eval session itself. If the client wants a more in-depth evaluation report I charge $100 to put one together. As far as discharge goes – I am always in constant discussion with the client’s parent(s). Once we both feel the client is nearing discharge I usually re-evaluate – just to make sure I haven’t overlooked anything. And then we (the parents and I) make a decision together to discharge the client. Good luck going private, I hope it works out for you! Hi Alissa, your blog has been very helpful. I was reading along and wanted to know how did you manage for EI local agencies to send you referrals? I do EI after my school job and I would think they would never want to share any tips on how to go private nevertheless refer clients to me for private practice, because they are all about business and want every case possible! I am looking to contacting the state for direct EI referrals, but I’m not sure if that’s how to go about it? Any info is helpful!! Thanks Alissa.. I typically get referrals from EI after the clients have graduated out of their program (at age 3). Most of my clients are between the ages of 3-5. That might work for you as well. Good luck! I understand what you are asking. I don’t deal with reimbursement from any other agencies. And I don’t really even try to compete with the early intervention agencies. They often refer clients to me when they graduate out of early intervention (at age 3). The most common age of client I treat is from ages 3-5. That same approach might work for you as well. Do you happen to know how startup would differ if I wanted to provide therapy in the child’s home, rather than my own home? Would I still need a business license in my city? Similarly, to acquire new clients, do you suggest just handing out business cards to pediatrician offices, local schools, etc. and hoping word of mouth spreads? Can I offer private services to children at my current school or would that be a conflict of interest? Which assessments did you feel were crucial to purchase when you initially started your private practice? When you started your practice, for tax purposes were you a sole proprietor or did you establish an LLC? I believe you would still need a business license even if you are treating clients in their homes. Those ideas for acquiring new clients sound great, they are pretty much what I did to get started. I was not allowed to treat students who attended the school I also worked at. It was a conflict of interest for me. Check with your district supervisors to see what their policies are. I purchased the Arizona Articulation Proficiency Scale assessment and the Preschool Language Scales assessment to get started. And then purchased additional test over time as needed. Hi!!! I love reading your blog because it gives me drive and ambition to start my own business. My question is if I wanted to start a private practice for speech language and pathology, would I need to have a degree in speech? I have a lot of friends who are speech therapist and I wanted to start a business in which then can do what the love as well as have time for their families which is their main issue now. I don’t think you would need to have a degree to run a private practice – as long as you employee SLPs you trust to work for you and treat clients. 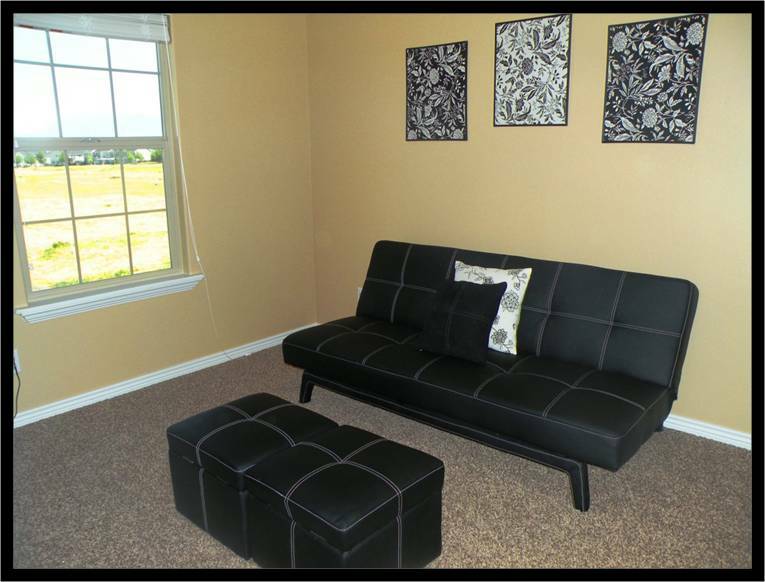 Where did you get your table and chairs that are shown in the pictures? I am getting ready to start my own practice out of my home. I’m in San Diego California and am thinking of leaving the schools to start my private practice. I am 100% Spanish/Bilingual and already have some ideas on how to get clients. However, a friend of mine knows SLPS who have had a really hard time getting clients doing private pay only. Do you have more specific tips? I loved reading this. This is our exact situation. My wife is an SLP at the local elementary school and she has recently started to think about doing her own practice. I have been wanting her to do this for a number of years now and now that she has been practicing for 5 years I think she has developed that self confidence you spoke of in your blog. Is there any additional tips or motivational advice you could give her? Like where is the best place to start? I would sincerely appreciate it. Her name is Chelsea.